Since today, Thursday, is technically my Friday for the week, I figured I'd share this week's Flashback Friday with everyone just a little bit early. Not to mention that with Hub's and my crazy/busy Easter plans on the horizon, there won't be much blogging done by the I Love You More Than Carrots clan over the next few days. Gak? I loved this stuff. I also loved it's kissing cousin Floam. For some reason, I remember this stuff being ridiculously expensive- which, I'm pretty sure it wasn't. It was just that after I got it stuck to the ceiling in my bathroom, my parents refused to buy it for me thus forcing me to purchase it with my much-cherished allowance. Yes, you read that correctly. I got it stuck to the bathroom ceiling. How? By throwing it up into the air to see if I could get it stuck to the ceiling, of course! What a silly question! Russ Troll dolls. Every. single. time. I walked past a Hallmark store, I was drawn in by this unexplainable force that insisted I buy these dolls by the handful. I even remember my favorites- the Painter troll, the Skateboarding Troll (complete with hot pink plastic skateboard) and the Birthday Troll. 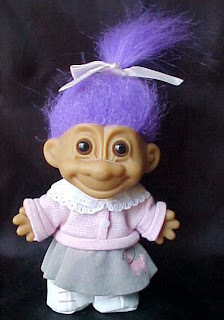 I loathed the Troll dolls that were sold sans clothes and accessories (go figure! ), but admit to having at least one or two "nakie" ones with gemstones in their belly! Do you remember that it was good luck to rub their hair? I do! 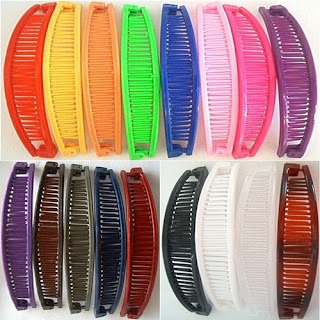 I loved me some banana clips! Of course I never owned any normal colors. Mine were of the neon variety as shown above! As if 80's hair could get any crazier, somebody had to go and invent these lovely babies that allowed you pull your hair back and style it much akin to a horse's mane. Fab-u-lous! *Sigh* Won't you be my neighbor? Let's take the trolley on over to the Land of Make-Believe. This guy was the real deal. 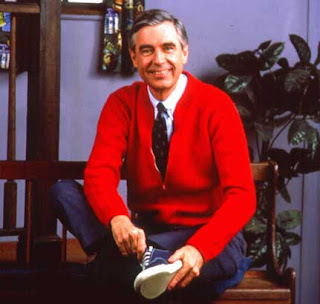 Did you know that one of Mr. Rogers' cardigan sweaters is on display at the Smithsonian? I loved accompanying him on tours of different factories and seeing how things were made. I distinctly recall the Crayon Factory episode and how each puppet in the Land of Make-Believe carried with him/her a tiny little crayon. Touching on subjects that were often frowned upon in the world of children's programming, death, divorce and war amongst many others, Mr. Roger's was an icon. Who else cried a little when Corduroy was lost in the big, scary mall? "Real isn't how you are made," said the Skin Horse. "It's a thing that happens to you. When a child loves you for a long, long time, not just to play with, but REALLY loves you, then you become Real." "Does it hurt?" asked the Rabbit. "Sometimes," said the Skin Horse, for he was always truthful. "When you are Real you don't mind being hurt." "Does it happen all at once, like being wound up," he asked, "or bit by bit?" "It doesn't happen all at once," said the Skin Horse. "You become. It takes a long time. That's why it doesn't happen often to people who break easily, or have sharp edges, or who have to be carefully kept. Generally, by the time you are Real, most of your hair has been loved off, and your eyes drop out and you get loose in your joints and very shabby. But these things don't matter at all, because once you are Real you can't be ugly, except to people who don't understand." Deep in my soul, I believed I was Ramona Geraldine Quimby. Happy Thursday, Happy Weekend, Happy Easter! OMG I miss it all!!! I had trolls all lined up on window sill for the longest time! They were so cool! 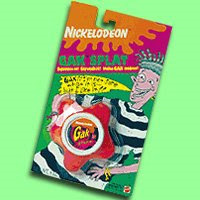 and I'm pretty sure i got gak stuck in my places my mom will never forgive me for! I loved all of those things. Although now I hate the idea of trolls (weird) and gac (gross)! HA HA. Awesome, awesome, and awesome. 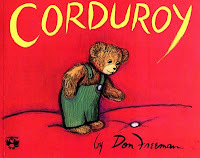 In fact, I just read Corduroy to the Nephew this weekend. What breaks my heart is his missing button and the girl's mom saying she can't have him because he doesn't look "new" - and don't even get me started on the Velveteen Rabbit! ahhh I had soooo many trolls. I used to draw house plans on paper and play house with them... I love your flashback Fridays:) What a great idea. PS - I just read your Jeans Fiasco post and I was LMAO. Too funny! TROLLS!!!!!!!! how had i forgotten about trolls? very funny. and the velvateen rabbbit. wow, i want to be a kid again! Oh I love banana clips,and Corduroy,he is such a darling! awesome. I always had a "Ramona" haircut, so I was always jealous of the girls who could wear banana clips!! I was all about Ramona as well! 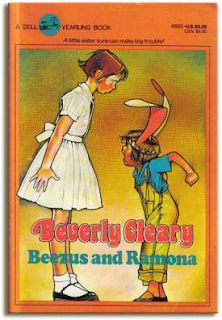 I can't imagine a childhood without Beverly Cleary!